New house prices were unchanged nationally for a second consecutive month, despite increases in some pockets across the country. New house prices edged up 0.2% year over year in September, the smallest annual increase since January 2010. Over the past year, new home prices have risen in the historically more affordable CMAs of Ottawa and London. 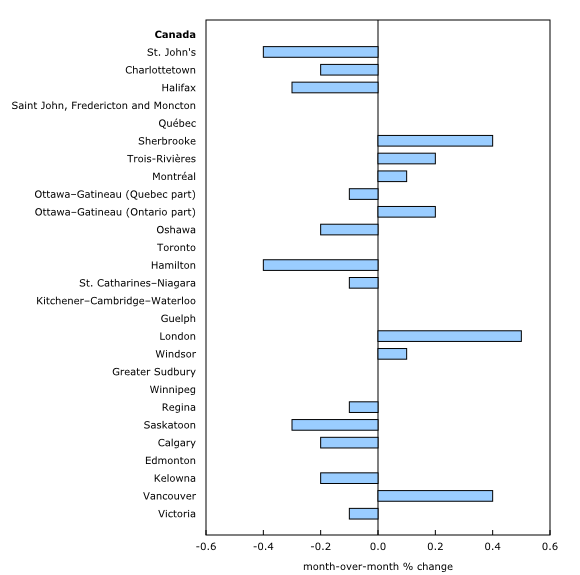 For a fourth consecutive month, Ottawa (+5.1%) and London (+3.8%) had the largest 12-month gains among surveyed CMAs. However, in Toronto and in nearby CMAs within the Greater Golden Horseshoe region, price growth has been largely muted. Year-over-year price movements ranged from a 1.2% decline in Toronto to a 1.1% increase in St. Catharines–Niagara. 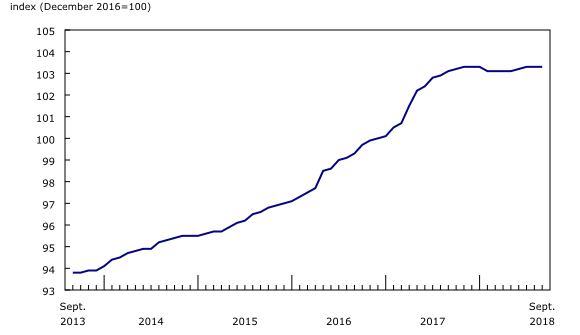 In September, four of the seven CMAs reporting 12-month declines were in Alberta and Saskatchewan, with Regina (-1.9%) recording the largest decrease. Year over year, prices in Saskatchewan have been decreasing since January 2015. An article highlighting recent trends in new house prices in the Greater Golden Horseshoe region is available in the publication Prices Analytical Series (Catalogue number62F0014M). The New Housing Price Index for October will be released on December 13.